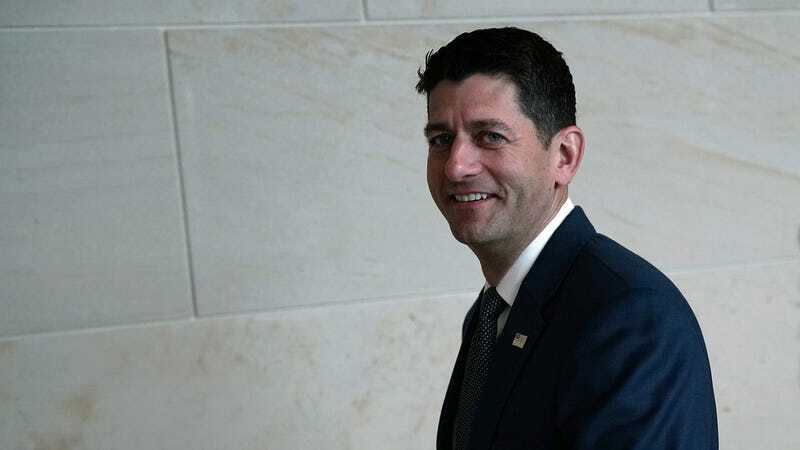 Paul Ryan is quitting the House—say it loud, and there’s music playing—and finally returning to a life where the only people he can regularly terrorize with his bad decisions are his family and his inevitable host of memoir editors and speaking engagement bookers. We have to assume that the transition back to private life will be a tricky one for the soon-to-be-former Speaker—say it soft, and it’s almost like praying—especially because even nature itself seems to find his smug Muppet face abhorrent. Wisconsin, y’all have badgers, right? We would love to see a badger do its thing on or near Paul Ryan. Someone make this show.